This story appeared in The Mott Haven Herald, Feb. 26, 2015. See the story here. 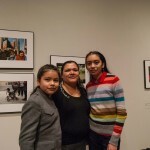 Zailie Faith Díaz and her mother took part in the “Here There, Acá Allá: Photographic Dialogues Between Generations and Culture” workshop. Their work is on display through the end of Februar at 601Artspace in Chelsea. 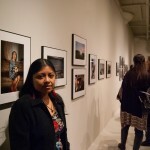 Janet Hernández Romero, Paula Romero Salazar and Brenda Hernández Romera part in the “Here There, Acá Allá: Photographic Dialogues Between Generations and Culture” workshop. Their work is on display through the end of Februar at 601Artspace in Chelsea. Rosalba Reyes Pérez, 35, of Tehuacán, Mexico, now lives in Morrisania in the Bronx. She and her children took part in the “Here There, Acá Allá: Photographic Dialogues Between Generations and Culture” workshop. Their work is on display through the end of Februar at 601Artspace in Chelsea.